The model E-10 and E-11 flameproof pressure transmitters have been designed specifically for the high demands of industrial oil and gas applications. 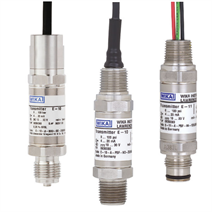 These pressure transmitters can be delivered with various analogue signals from 4 ... 20 mA to a low-power version with DC 1 ... 5 V. They feature an exceptionally high resistance to vibration, pressure spikes and moisture ingress. 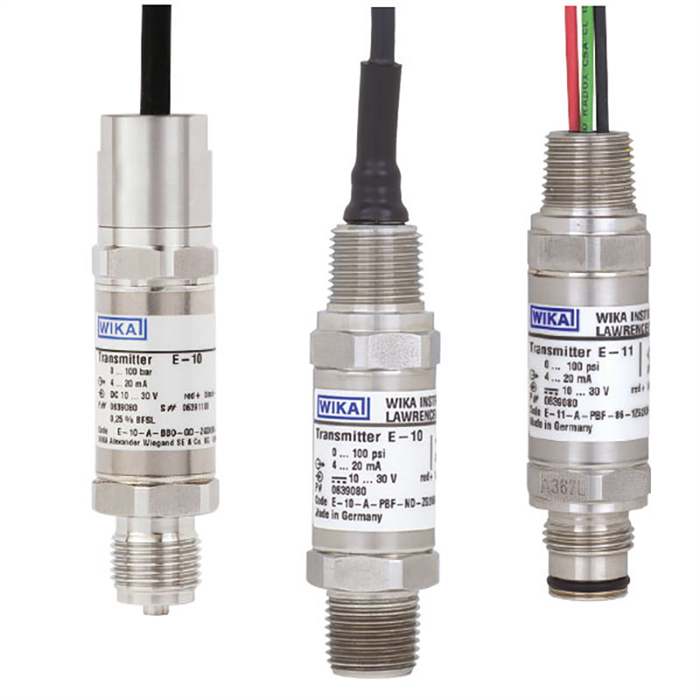 Furthermore, these pressure transmitters fulfil IP 67 (NEMA 4x) ingress protection. On each individual instrument a comprehensive quality control and calibration is performed, so that an accuracy of ≤ 0.5 % can be ensured. Temperature compensation guarantees accuracy and long-term stability, even with strong fluctuations in the ambient temperature. The models E-10 and E-11 are suitable for sour gas applications and feature particularly high resistance against sulphide stress cracking when in contact with sulphurous gases. The pressure transmitters are approved as “explosionproof” for class I, II, III, div. 1 hazardous areas to FM and CSA as well as “flameproof” for II 2 G Ex d II C to ATEX.